The End of the World is coming this April as Darksiders Warmastered Edition is announced for Nintendo Switch. Apocalypse returned a few months ago as hack and slash action-adventure title Darksiders III from developer Gunfire Games and publisher THQ Nordic has been launched on November, 2018 for PC, PlayStation 4 and Xbox One. What about players on handheld platforms then, eh? Yesterday, THQ accidentally uploaded a trailer of Darksiders: Warmastered Edition for Nintendo Switch before deleting and re-uploading to confirm a release date for April 2nd. Below is the official trailer for the first action-packed game of the series heading to Switch, showcasing some key footage. The story of Darksiders revolves around a time when Heaven and Hell have waged war against each other. To restore order, "The Charred Council" sends War, first Horseman of the Apocalypse to Earth in the aftermath of the conflict that ravaged it. The unintended and untimely leak only suggests that the game was probably meant to be displayed at the next Nintendo Direct broadcast, which fans are eagerly waiting for and now that they let it slip, we are hoping to have that soon as well. The game was originally launched back in 2010 for PlayStation 3 and Xbox 360, before seeing a Windows PC release. It was eventually ported for PS4 and Xbox One while also receiving a Wii U version, which had a terrible sales record on the dying platform. 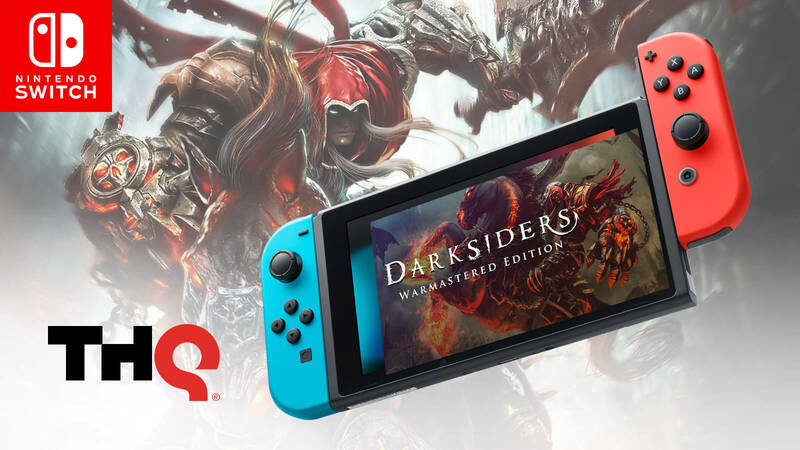 Darksiders: Warmastered Edition for Nintendo Switch will be available at Nintendo eShop and your nearest retailers for the price of $29.99 only. We are really excited for the announcement and hoping to see the sequel, Darksiders II to arrive on Switch too.